No Doubt singer Gwen Stefani was joined by Pharrell Williams to perform her solo hit, “Hollaback Girl”, on NBC’s The Voice on Monday. The song, from 2004’s “Love. Angel. Music. Baby.” album, was co-written by the pair and Chad Hugo. Stefani and Williams are set to become coaches on the series next season, filling in for Shakira and Usher. The appearance on Monday’s show featured performances by the Top 8 contestants on season 6, as the series draws closer to its season finale. No Doubt’s last project was 2012’s “Push And Shove” album, their first in 11 years. Following its release and a tour to promote it, the band revealed that they had gone back on hiatus while hinting that they may regroup again soon. No Doubt have pulled their new video for “Looking Hot” after learning that the clip had offended Native Americans. Directed by Melina Matsoukas, the video featured Native American imagery and included singer Gwen Stefani wearing a feathered headdress. “Looking Hot” is the latest single from the band’s “Push And Shove” album, their first in 11 years. The group’s first album in 11 years was recorded this year at producer Spike Stent's studio in Santa Monica, California. On Wednesday, No Doubt performed the project’s latest single, “Looking Hot,” on The Tonight Show. The band will play a series of 6 headlining shows at the Gibson Amphitheatre in Los Angeles this November and December. 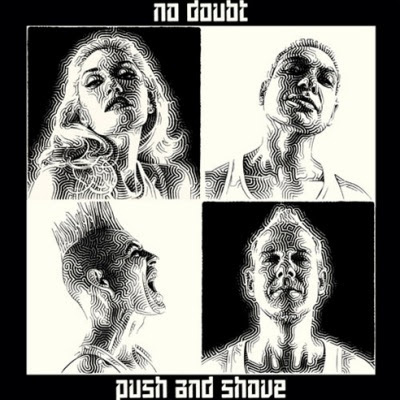 No Doubt released “Push And Shove” on Tuesday. The band will be issuing “Looking Hot” as the second single…but, on the day the album hit stores, No Doubt released a video for the album’s title track. The song “Push And Shove” features help from Major Lazer & Busy Signal. The L.A. series of shows run November 24 through December 4 – tickets go on sale to the public this Friday, September 28 at 4:00 PM Pacific at livenation.com. No Doubt played the iHeartRadio festival in Las Vegas on Friday, on a bill with Usher, Rihanna, Green Day and others. 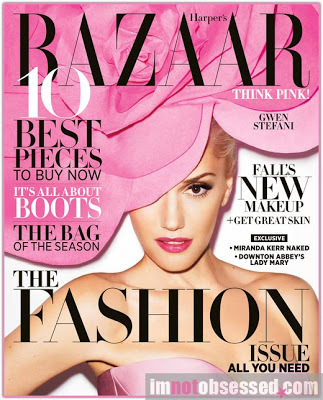 Pink strolled onstage during the song and bowed down in front of Gwen Stefani, as the two greeted each other with a kiss on the cheek before Pink began a series of pushups. No Doubt are promoting their new album, “Push And Shove,” which will be released on Tuesday; that same day, the project’s second single, “Looking Hot,” is also set to hit stores and digital retailers. No Doubt were on hand in New York City Wednesday night to help the NFL kick off its new season. The band performed their new single, “Settle Down,” live from Rockefeller Plaza before the New York Giants-Dallas Cowboys game at MetLife Stadium in New Jersey. The song is the first single from the band’s forthcoming album, “Push And Shove,” due September 25. No Doubt have announced a series of 6 headlining shows at the Gibson Amphitheatre in Los Angeles this November and December. The dates follow the September 25th release of “Push And Shove,” the band’s first new album in 11 years. Ticket pre-sales for members of the band’s ND2012 Club are being made available as of this Thursday at 4:00 PM Pacific through to Monday, September 10, while ticket supplies last. Opening acts and the date for general public ticket sales are still to be announced. In the meantime, No Doubt fans can catch the band helping the NFL kick off its new season, as they and Mariah Carey will perform live from Rockefeller Plaza before the New York Giants-Dallas Cowboys game at MetLife Stadium in New Jersey. No Doubt’s first album in 11 years, “Push And Shove,” is set for release on September 25. The project’s lead single, “Settle Down,” is out now. In their latest webisode, No Doubt are giving fans a behind the scenes look at the creation of the cover art for the album. “Push And Shove” is due September 25, while the album’s lead single, “Settle Down,” is out now. 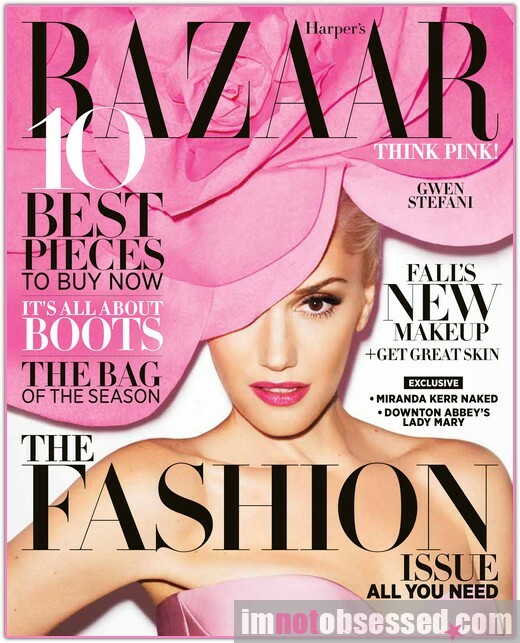 The decade between albums saw band members starting families, as well as two successful solo albums by singer Gwen Stefani. 2004’s “Love. Angel. Music. Baby.” delivered six hit singles, including “Hollaback Girl,” “Rich Girl,” “What You Waiting For?” and “Harajuku Girls.” Stefani’s debut solo effort went on to sell more than 7 million copies worldwide. “The Sweet Escape” followed in 2006, with songs like “Wind It Up” and the title track. In a new interview with The Daily Record, Stefani was asked about the prospect of her going solo again. Read more at The Daily Record here. The song is the lead track from the band’s sixth studio album, “Push And Shove,” which is due September 25. The group delivered the live debut of the song last weekend at Nickelodeon’s Teen Choice Awards, and on Thursday, No Doubt brought it out to play on Late Night with Jimmy Fallon. “Push And Shove” is No Doubt’s first album in 11 years. 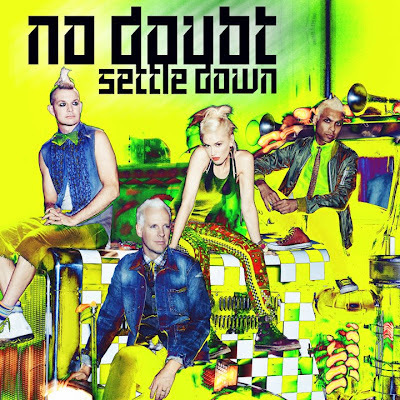 No Doubt’s new single, “Settle Down,” arrives July 16. The song is the lead track from the band’s forthcoming album, “Push And Shove,” which will be out on September 25. No Doubt will deliver the live debut of “Settle Down” on July 22 at Nickelodeon’s Teen Choice Awards, which will be the band’s first official performance since their reunion tour back in ’09. The group have posted a preview/trailer of the video for the song, which was directed by Sophie Muller.